Could the Reintroduction of Wolves Help Save Japan’s Forests? A large chunk of the country’s forests were harmed in 2015 by wildlife—77 percent due to deer. Bringing back an apex predator could help staunch the bleeding. From the peak of Mt. Rausu, a clear view of the Shiretoko Peninsula opens from the Okhotsk Sea on the west to the Pacific Ocean on the east. Below, a dense green boreal forest of conifers, maples, and birch hides hundreds of brown bears and 590,000 sika deer. Japanese wolves once roamed this wilderness but their primeval howls fell silent here, and throughout Japan, more than a hundred years ago. Narumi Nambu is working to bring wolves back to Japan. “An apex predator is essential for sustainability of an ecosystem, and in Japan it was a wolf,” she writes in an email. Nambu volunteers for the Japan Wolf Association. Her work earned her the “Who Speaks for Wolf” award at the International Wolf Symposium in Minnesota, where she recently spoke. She explained that, without the presence of natural predators like wolves, two-thirds of Japan’s 30 national parks are showing signs of deer-induced injury. 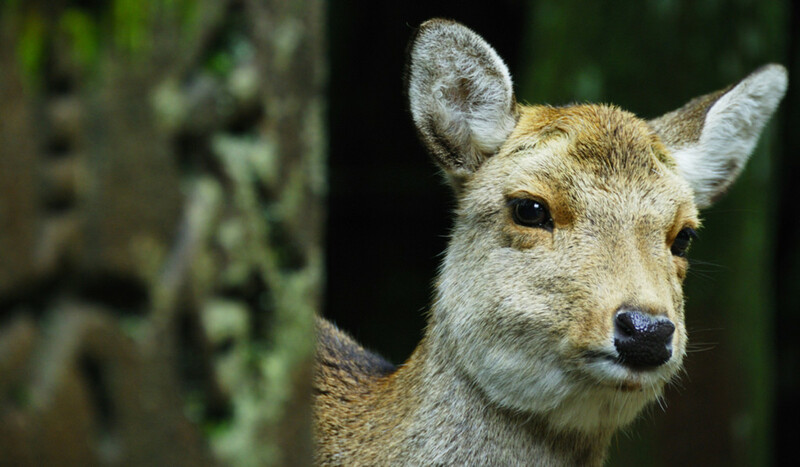 Shiretoko National Park, a UNESCO World Heritage Site, has a deer problem, as does much of Japan. According to the most recent annual report by the Japan Forestry Agency, 8,000 hectares of the country’s forest were harmed in 2015 by wildlife—77 percent of it due to deer. All told, deer were responsible for $53 million in damage.